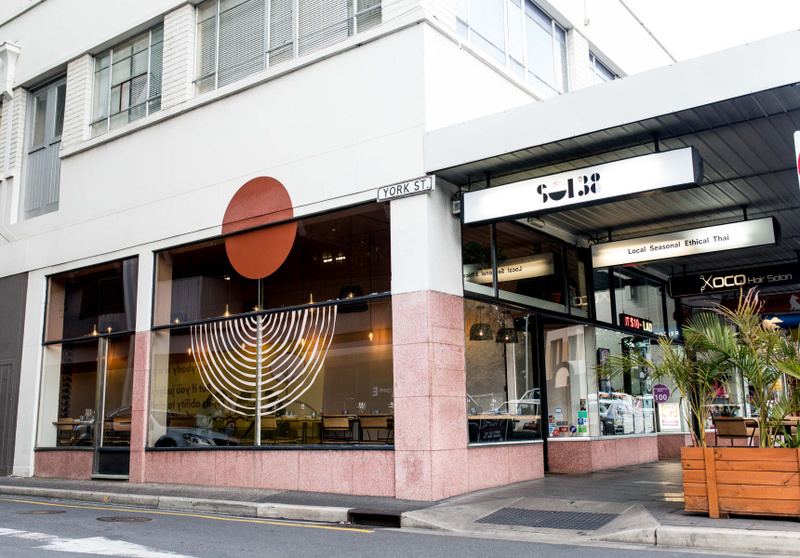 With a calming, neutral-coloured fit-out comes a new, regionally focused menu. It’s a question Daisy Miller, who owns Sukhumvit Soi 38 with Thai-born husband and chef Terry Intarakhamhaeng, and front-of-house manager Lucy Lamport, has fielded repeatedly. Crafty Design’s Candice Papagiannis and Dave Lawson worked on the refurb and rebrand. The brief drew from Terry’s colourful backstory: “He’s a birdwatcher, he’s been a monk and what connects those two things is dawn and dusk,” Daisy explains. 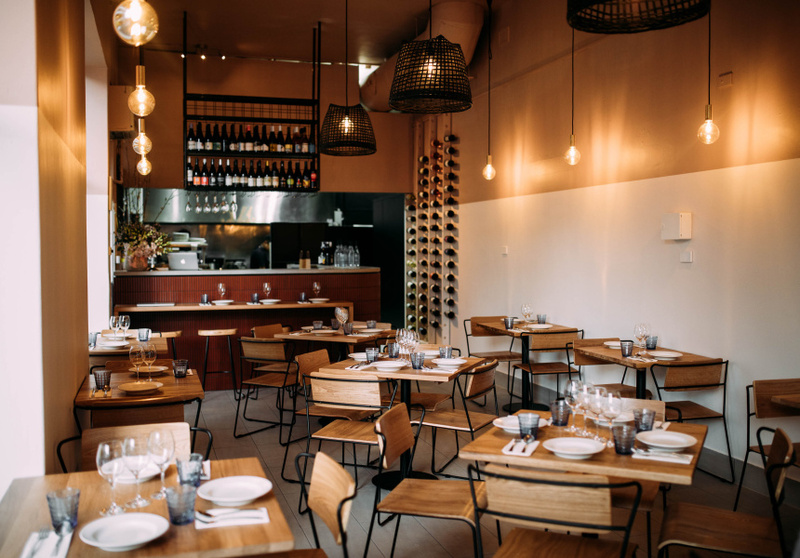 After a three-week renovation, the slimline space is almost unrecognisable from its former self. “It’s really about the dawn light,” says Daisy. Gone are imposing black walls and bright-yellow accents. A calming two-tone paintjob – half buckwheat, half white – flows down to neutral-coloured tiles. Suspended above simple timber furniture, rooster cages handcrafted in Thailand serve as light fixtures. The tableware (sourced primarily across Southeast Asia) adds hints of pale blue, grey and white. Now, the menu zooms in on Thailand’s six regions. Much like a wine list, each dish’s region of origin is listed below it. As is customary, the previous “feed-me” menu progressed through snacks and starters, salads, and curries and stir-fries. “We were always really uncomfortable with that ‘cause it’s not how Thai people eat – everything’s on the table at once,” Daisy says. The newly instated three-course iteration traverses Thailand from the bottom up. Start with the south, move through central Thailand and finish in the north. 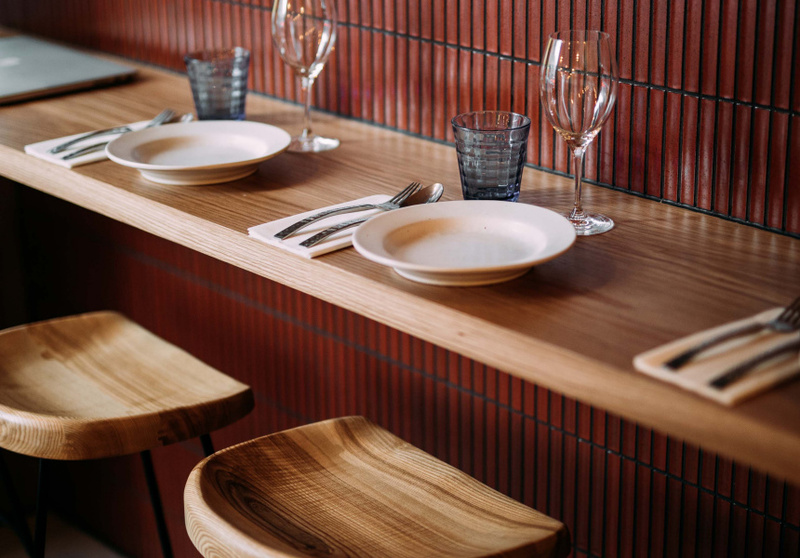 Unlike a “Westernised” banquet menu, each region’s snacks, salads and mains arrive at the table (and are meant to be enjoyed) together, in one course. “Eat just the way a family in [that region] would eat,” says Daisy. Matched wines (from a more-than-doubled list) align with the region’s main flavour profile. Though Daisy’s considering the prospect of simply matched “booze”. “I feel strongly that some things are just better with beer,” she says. Terry’s masters in environmental sustainability (he’s a man of many talents) comes through in the menu. Two southern-style dishes reduce the restaurant’s reliance on farmed meat: there’s a goat curry with betel leaf and a take on oxtail curry that subs in an eight-hour-cooked kangaroo tail.